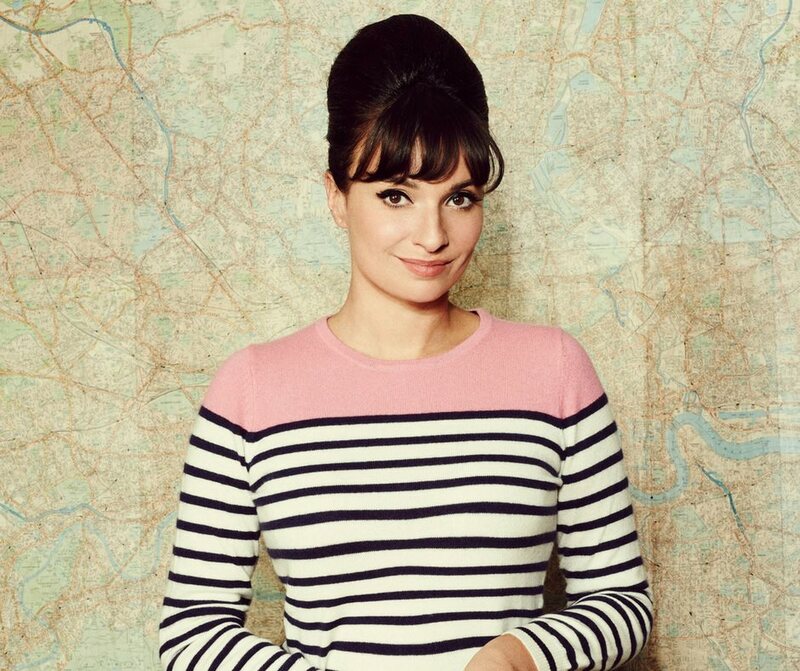 When I saw that The Groovy Food Company had teamed up with quirky and inspirational TV personality, chef and author, Gizzi Erskine, to create an innovative range of modern recipes using the brand’s natural products, I was rather excited. As someone who has looked up to Gizzi for many years, this partnership caught my attention and I was looking forward to seeing what the culinary genius would come up with. 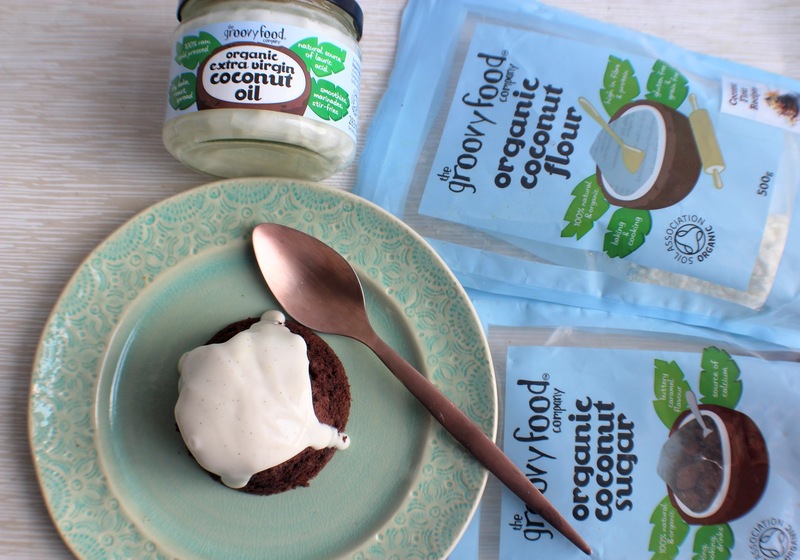 In case you haven’t heard of them, The Groovy Food Company is an award-winning British brand committed to sourcing and producing natural foods that taste delicious and nourish the body’s overall health and wellbeing. 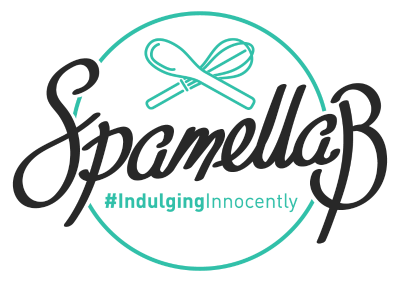 I’ve used their coconut flour, sugar and oil for a while now and have always been happy with the quality and accessibility of the ingredients. 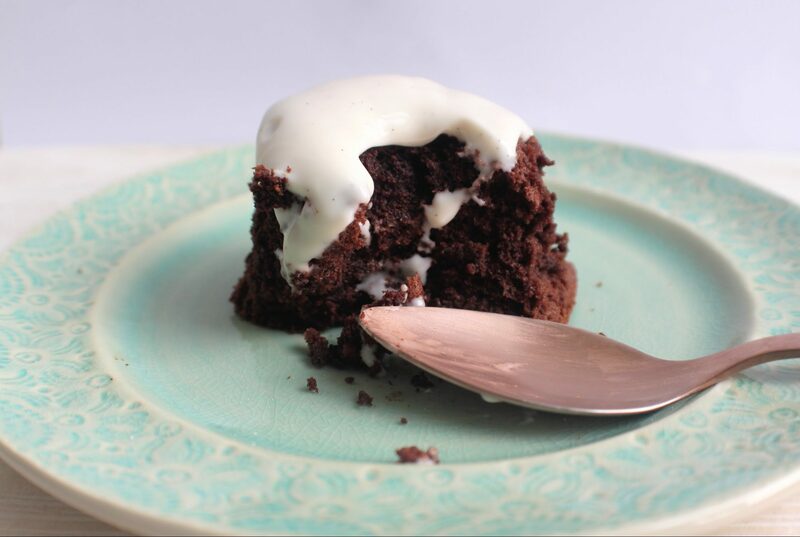 If I was to tell you that this dairy, wheat and gluten-free fondant was the best I’ve ever tasted you wouldn’t necessarily believe me…Well it’s here, and what-do-ya know – it’s actually really GREAT… better even. So indulgent, same wickedness, but there’s something about the flavour of the coconut that, I don’t know… just really smashes the whole thing to the next level. Give it a go and see! Brush the inside of 4 small pudding or ‘dariole’ moulds with the melted organic virgin coconut oil. (Grease it in a double layer of oil, then cut out tiny rounds of greaseproof paper a little bit smaller than the base of the mould and fit them to the greased base. )Grease the top of the paper again with more organic virgin coconut oil. 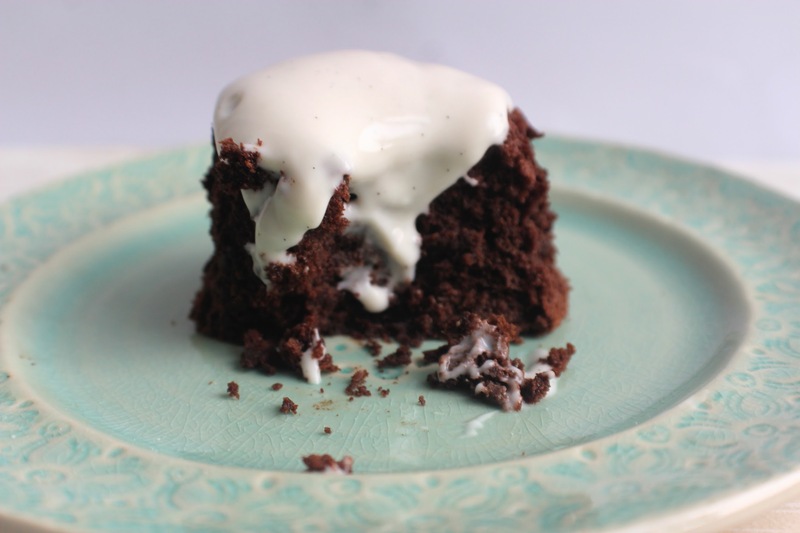 Straightforward to make without the need to buy loads of ingredients, this recipe is a little more indulgent than I’d usually make but I used no added sugar dark chocolate to try and keep refined sugars to a minimum. Although the puddings didn’t come out with a gooey centre as I expected (I think I left them a little too long after bringing them out the oven! ), they were still light, spongey and absolutely delicious. 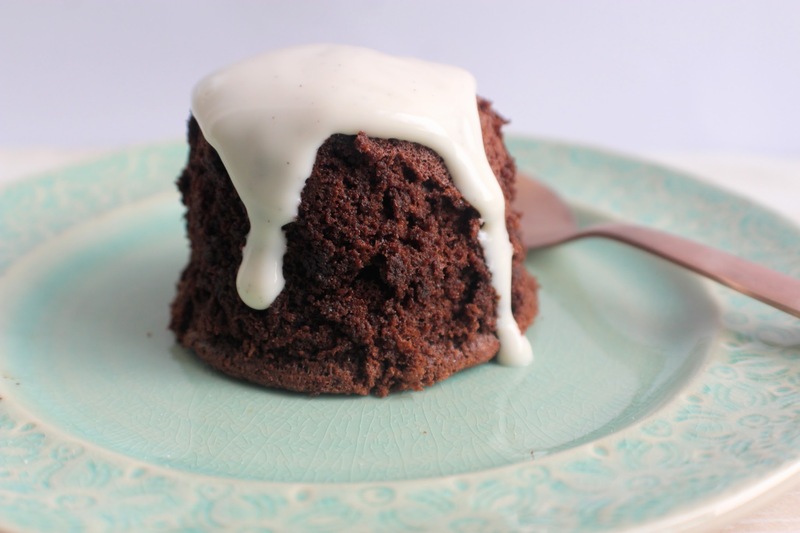 I served mine with some Nush Cashew Vanilla yogurt which made an ideal accompaniment to these rich puddings. 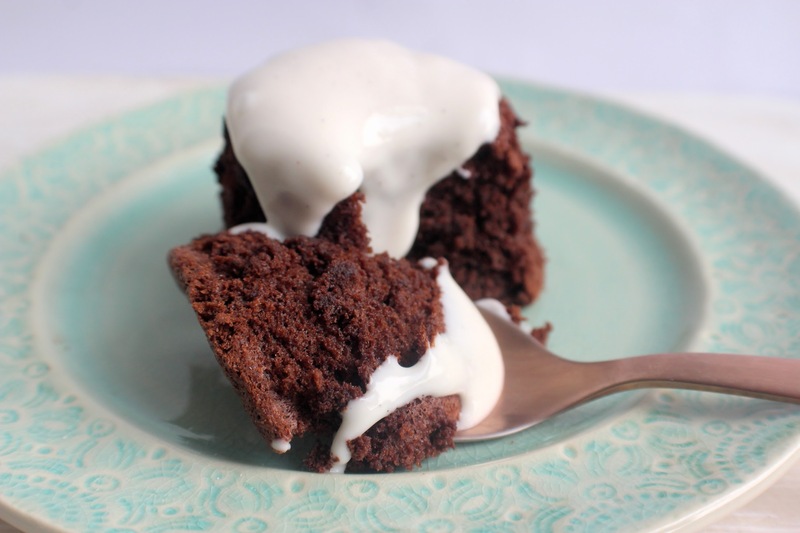 Without the need for wheat or dairy-free, I’ll definitely be making these puddings again when I have people round for dinner.